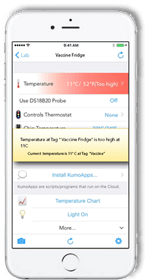 Imagine never having to touch your temperature logger again – or even think about it! Once our wireless loggers are set up, you can just forget they’re even there. Your data will automatically and securely save to the internet. You can log in and access graphs and reports from any computer – no need to install special software. But if a temperature breach occurs, you’ll get an instant notification by email and on your smartphone. The sensor lives inside your fridge. It has no wires or probes. It is powered by an internal replaceable battery. The sensor reads the temperature with an accuracy of better than 0.4°C. It transmits its readings to the base station using a powerful frequency that goes through walls easily. The base station is about the size of a matchbox. It sits outside the fridge in a nearby room. 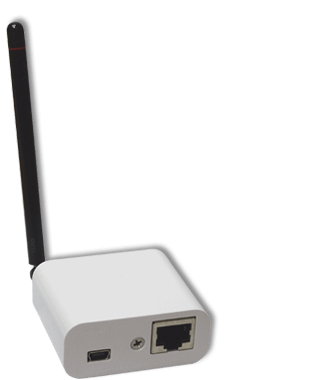 You connect the base station to your office internet with an ethernet cable. 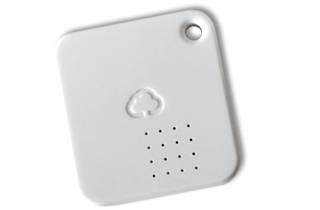 The base station receives the data from the sensor and saves it to a server on the internet. 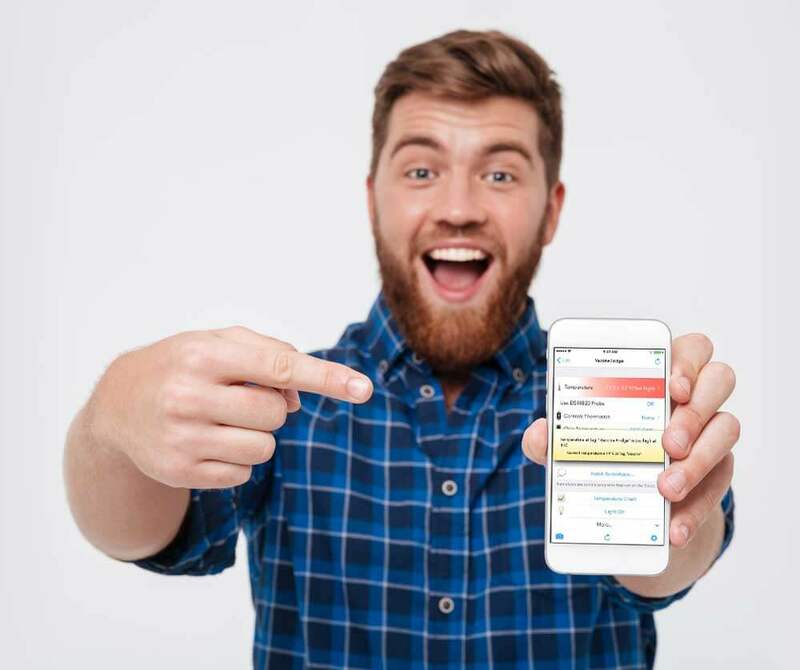 You can log into your account from any computer connected to the internet. Once logged in you can see a temperature graph and data report. There is also a free iOS and Android app that talks to the server and gives you alarms, reports and graphs straight to your phone. The cost of internet hosting is included in your purchase price. There are NO ongoing fees or subscriptions. None. Nada. Zip. If you’re not happy with the wireless logger system, send it back for a full refund. If you have problems, we’re right here to help. Call us on 1300 30 33 34. Your payments through this site are protected by world-class security. Need to use a purchase order? No problem. We deal with government departments, large corporations and community organisations all the time. If you’d like to pay directly, call us on 1300 30 33 34 or send your purchase orders directly to sales@onsolution.com.au. Get customisable, automatic notifications sent to your phone or email. The Base Station just plugs straight into your existing network.